Happy Lunar New Year! I hope you are having lots of dumplings (representing silver & gold ingots) during the next two weeks! We wish all of you an amazing Year of the Black Water Snake. If you haven’t had enough celebrating, you’re in luck. 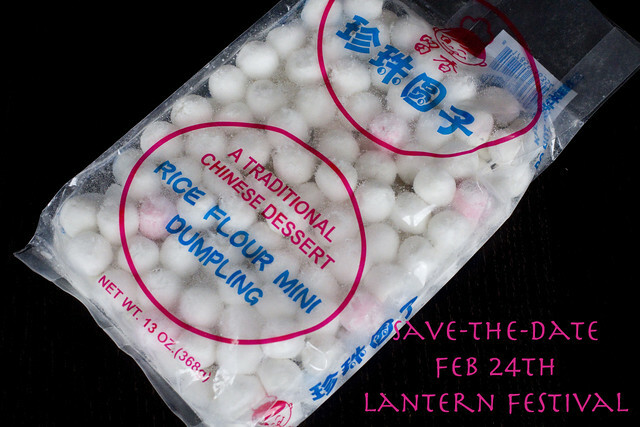 Lantern Festival (a.k.a. Yuanxiao Festival) occurs on the 15th day of the lunar calendar, which is just around the corner. This year, it will be on February 24, 2013. Here’s a great tutorial I found for making paper lanterns! During the festival, you post riddles on your lanterns. When someone gets the answer right, you award them with a small prize. Make sure to get your ingredients for Tangyuan Soup, a warm dessert soup traditionally eaten during this festival. Here’s two very easy preparations that only take a few minutes to make.